Sit back and enjoy the very best of the cape. On your way to this special prepared holiday you will travel along R62 where you will pass small and farming towns of Robertson, Ashton and Montagu. Few wineries, coffee shops, shilarm cactus farm (little mexico) and the 1919 locomotive draws attention to and contribute the relaxing atmosphere of these small towns. In Montagu you will also travel along famous Longstreet which has 14 national monuments which are worth a visit. The town is complemented by a natural hot springs and hot spa. Accommodation ranges from country hotels, guest houses and camp sites. Other towns include Barrydale, Ladismith, Calitzdorp and Oudtshoorn the largest town in the little karroo and known for its Ostriches. You will leave the R62 to join the majestic garden route via Swellendam and Heidelberg. The N2 offers some of the key major attraction towns and scenic beauty. George and Knysna are the dominant attractions with some of the top 10 club golf courses in the world. 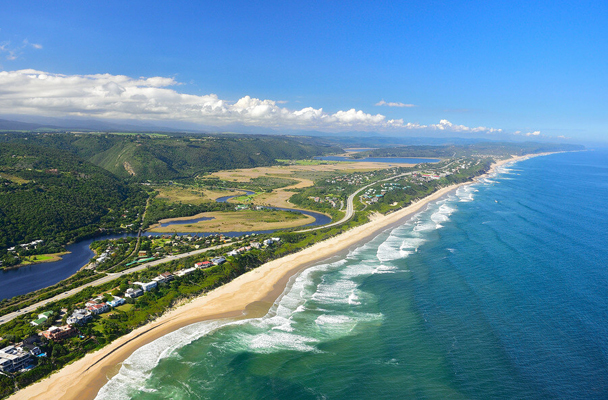 Passing Knysna you will come to Plettenberg bay; an excellent spot for whale and dolphin watching. Beyond Plettenberg is Storms River and Tsitsikamma National Park, which is a lush large forest with island of fynbos that grow in profusion. Jeffrey’s Bay, Patensie, Hangwe and Bavianskloof are the main commercial towns. End this beautiful tour in Port Elizabeth one of South Africa’s best kept secret. A visit to Addo National Park is a priority to anything you do in the Port Elizabeth. The perfect way to enjoy both best of the Cape and Garden Route tour. Visit the UESCO World Heritage site ( Robben Island), Table Mountain and Cape Peninsula. Your last three days will be spent in the beautiful garden where you will visit one of the biggest authenticated cave system in the world. An ostrich farm is a must visit when you are in this region, an excellent stop in the Karoo that provides an opportunity to see ostrich up-close and learn about different stages of ostrich life. Zip through and hang amongst 450 years old trees in the beautiful forest of Storms River. Roam in the African Safari and cruise the Knysna Lagoon.